As an Ohio-based company, the staff at ABCS RCM follows news and events from different parts of the state. As a provider of medical billing and credentialing services for a wide variety of health professionals, we find it useful to stay up-to-date with current healthcare trends. In Ohio, in particular, we noticed an increased demand for behavioral or mental health services. For many behavioral health hospitals and treatment centers, there is a shortage of qualified mental health professionals. Our company assists behavioral professionals by providing experienced medical billing services for Cincinnati behavioral health providers. This includes claims submission and revenue cycle management for numerous treatments including chemical dependency, individual and group therapy, medication management as well as transcranial magnetic stimulation to name a few. One Ohio region, in particular, has been the center of news stories over the last year is the area of Hamilton, Butler, Warren and Clermont Counties located in southwestern Ohio. 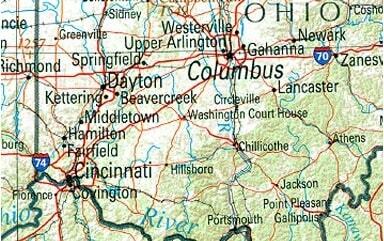 The Greater Cincinnati metropolitan region includes the cities of Cincinnati, Middletown, Fairfield and Hamilton in Ohio, as well as Covington and Florence in Kentucky. Similar to other areas of the United States, the greater Cincinnati region has struggled with opioid addiction, drug-related overdoses as well as other behavioral health problems over the last few years. Local and national news outlets have explored this problem of opioid use as well as larger mental health issues. From drug use to behavioral health, these topics have a political and social context and solutions. Here are some of the more interesting news stories from the greater Cincinnati region that echo occurrences and debates that are occurring across the United States. Bloomberg News explored the concept that surviving a heroin overdose may soon depend on where you live. According to Bloomberg News and statistics from the state of Ohio, from 2011 to 2016 Butler and Hamilton counties have a much higher rate of overdose deaths from opioids compared to the rest of Ohio. Hamilton and Butler counties have both taken very different approaches to combating the opioid problem. In Butler County, there is a concern with how to pay for the cost of treating opioid addiction. County law enforcement will not carry medications like Narcan (also called Naloxone) that reverse the effects of an overdose. However, in neighboring Hamilton County, which includes the city of Cincinnati, county officials have taken a different approach. They are making drugs like Narcan widely available including placing it in the hands of local law enforcement. Hamilton County even plans on distributing Narcan to firefighters and houses of worship. These are two very different approaches to opioid addiction, which are influenced by political ideology and other societal factors. Some local news stories from the Cincinnati region (Hamilton and Butler counties) push beyond the terms addiction and substance abuse and present broader questions about mental health in the U.S. Many people know someone who is struggling with a mental health condition. Depression is the most common problem, which affects one in five Americans. In fact, depression is the number of cause of suicide and will impact more people than the number living with cancer. This frame of reference helps to silence any remaining stigma surrounding behavioral health treatment. Behavioral health and medical professionals advocate that the early treatment of mental health conditions will actually save money in the long-term. This argument is based on studies like the one from RAND Center for Military Health Policy Research. This groundbreaking study stated that at least 20% of Iraq and Afghanistan veterans suffer from PTSD and/or depression. Starting in October 2001, roughly 1.64 million Troops have been deployed in Afghanistan and Iraq. Evidence shows that the “psychological toll of these deployments — many involving prolonged exposure to combat-related stress over multiple rotations — may be disproportionately high compared with the physical injuries of combat.” The study even argues that the cost to treat a veteran suffering from PTSD is over 3 times more expensive to treat as opposed to caring for a veteran without the disorder. The Greater Cincinnati region in Ohio will continue to debate solutions for substance abuse, addiction and behavioral health. These problems did not occur overnight, and any solution will need a long-term commitment from local, state and national leaders. We here at ABCS RCM will continue to monitor challenges and solutions in addiction treatment and behavioral health.